What if Pokemon were gods and goddesses ? 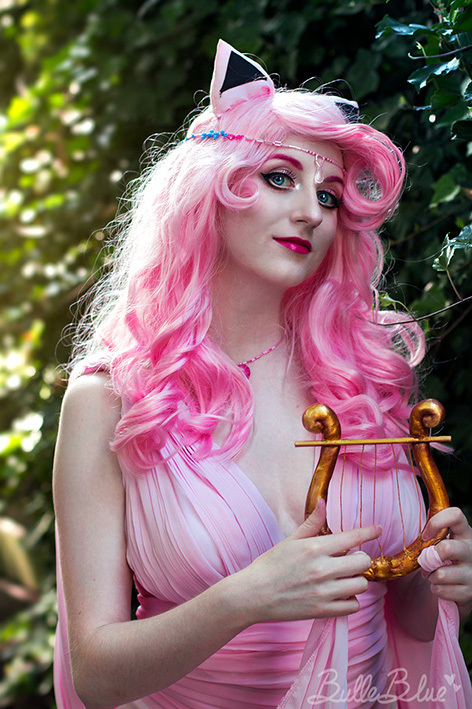 Jigglypuff would be goddess of music… or maybe sleep ? 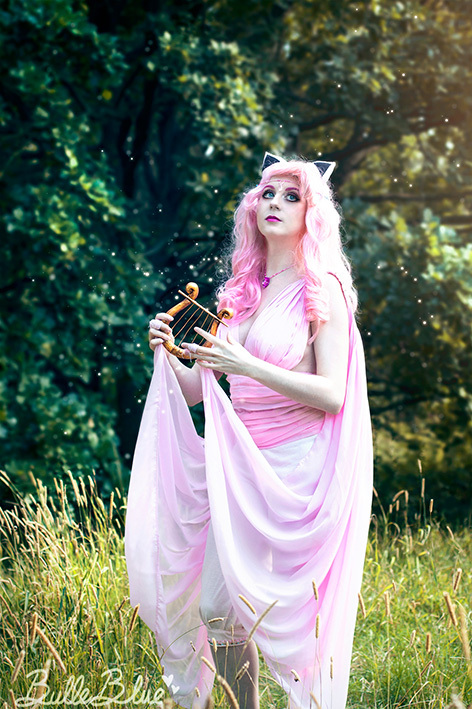 I designed this outfit myself, with the idea to create a goddess version of the pokemon Jigglypuff. The main features of Jigglypuff that I wanted to keep in this design are : its big curl on its forehead, its ears, its colors, and a general sense of softness and roundness. To achieve that look, I styled a wig to make it curly, with a big curl on the front. The fabric is soft, as I imagine Jigglypuff to be. 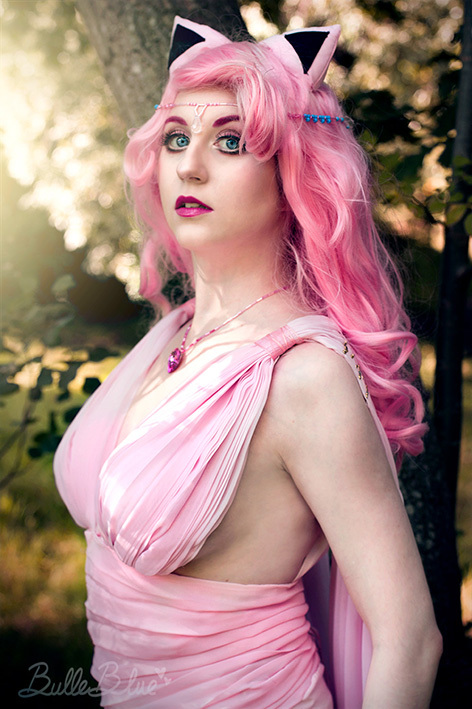 I worked with chiffon and pleated it on the bust to create a “greek” goddess look. I added some beads and rhinestones to make it more refined. And instead of the famous Jigglypuff’s microphone, I created a small lyre.